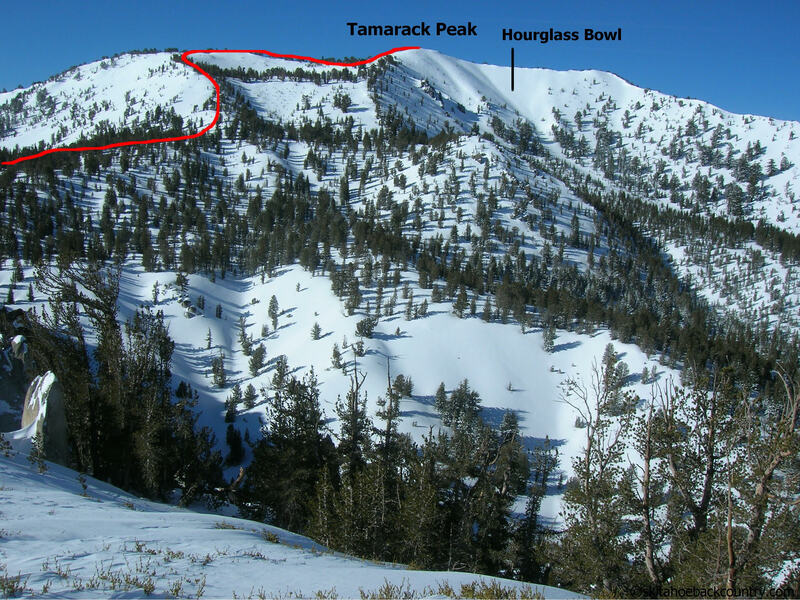 Join MAA members at Tamarack Peak near Tahoe for some scenic backcountry skiing. This is one of the most accessible peaks with a variety of friendly bowls and terrain. Current Avalanche 1 training and avy gear required to attend. We have room for 8. Hope to have you out with us! What's happening: Backcountry skiing on Tamarack Peak, laps on bowls and ridges with 600' vert skiable terrain. Less than 1 mile approach, elevations from 8,600 to 9,900 feet. From the parking lot, skin due west through the sparse, rolling forest, aiming for the saddle between Tamarack and Galena Peaks. From here, turn south (left) and find the ridgeline to Tamarack’s summit. Be sure to remember the ascent route and surrounding landscape for the last descent to the car. The parking lot is hidden out of view behind a small ridge for most of the way back. Where to meet: 8:00 am, roadside parking with room for over 20 cars located on Highway 431, 1 mile east of the highway’s summit. This parking area is 15.5 miles west of the 395-431 junction near Reno, and 9 miles east of the 28-431 junction near Incline Village.